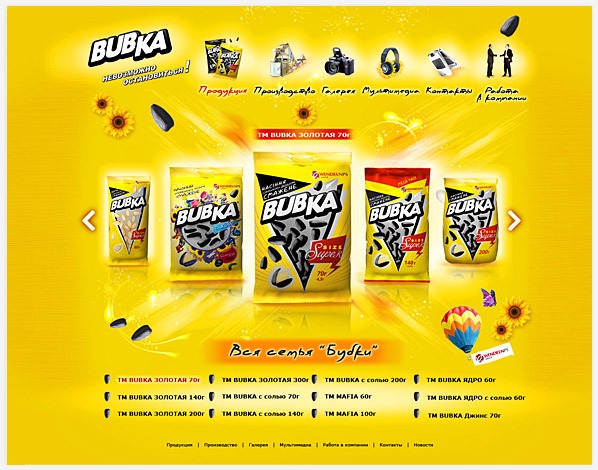 The trade mark BUBKA is a delicious sunflower seeds for a cheerful and active youth. 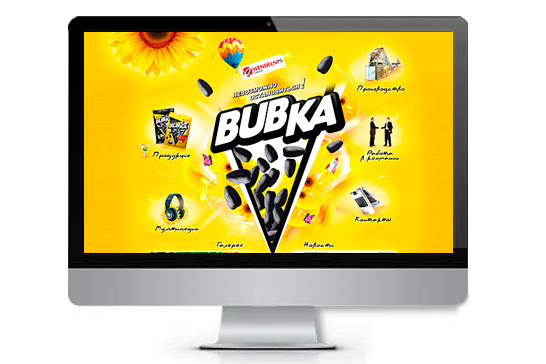 The site design is executed in bright yellow colors, corresponding to the corporate style. Here you can get acquainted with the entire product line of the BUBKA. On the site everyone can register, leave a comment. For TM, various types of packaging, printed products, posters were developed.